We are very happy with the the concrete work CCConcrete has provided us. Our association of 128 units had a number of raised sidewalk slabs this year. In the span of a few hours, they had cut out, and replaced 12+ slabs. They even accomodated an individual resident in replacing several slabs of concrete on his patio! Resident walked out and talked to the workers, they arrived the next day to complete his patio. Nice!! And their prices were extremely competative, especially for an assn who needs to watch their monies very carefully. 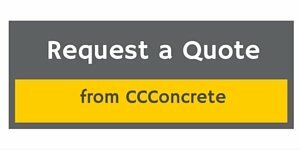 If you need concrete work done, call them!